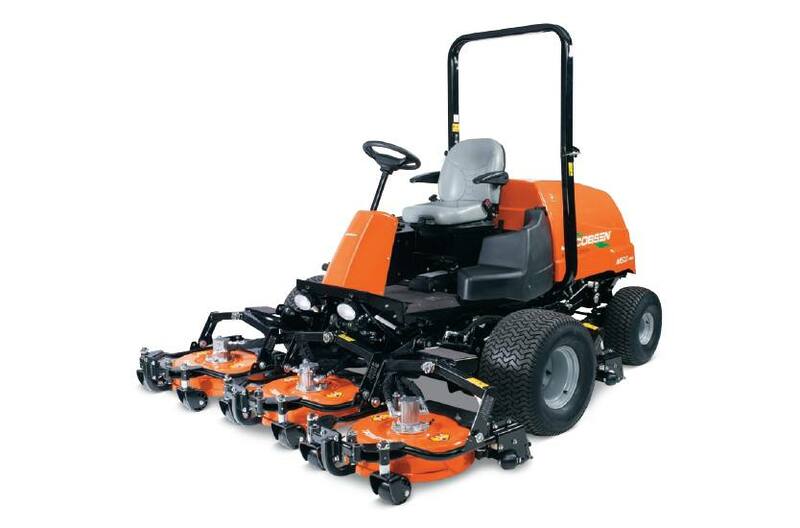 Five, fully floating 22 in (56 cm) TrimTek contour rotary decks are the ideal size to mow hilly terrain with sharp undulations and reduce the chance of scalping. 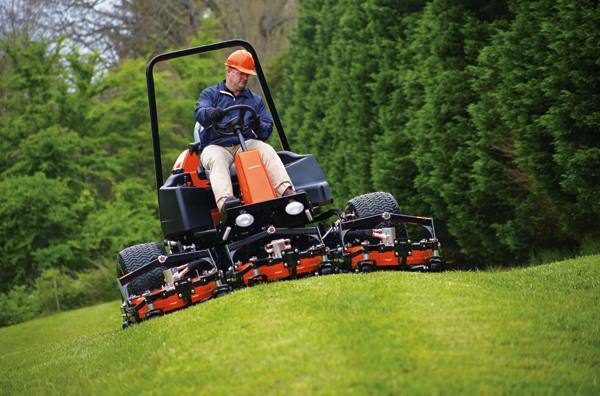 TrimTek deck design with exclusive downdraft blade keeps clippings suspended longer for exceptional mulching results. Three-tiered discharge opening distributes clippings evenly for a superior after-cut appearance. SureTrac 4WD parallel-cross-series system automatically transfers power where needed to provide superior traction for hill climbing and side slope operation. Maintenance free, wet parking brakes deliver safe braking on even the steepest of slopes and reduce total cost of ownership with no linkages or pads to service or adjust. Overall Cutting Width: 90 in. Due to emission regulations and fuel compatibility, model availability may vary by country. Please contact your nearest distributor for full details.